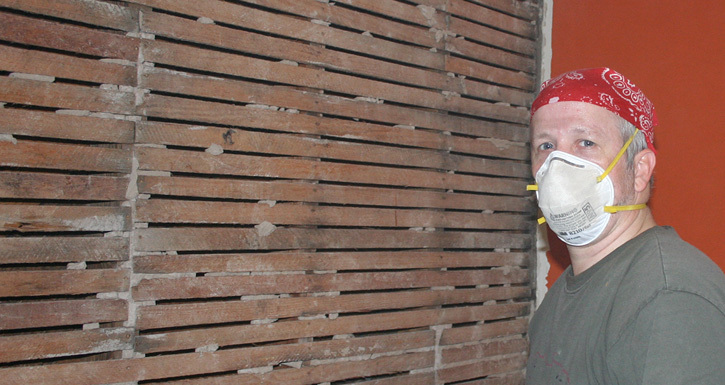 We own a 1905 Craftsman Bungalow and I’ll be honest with you… I hate remodeling my house. Don’t get me wrong… I love my house. Its architecture and style is beautiful. There has been so much that we have chosen to do since we bought this house in 2001 and it feels like it never ends. Every day I come home and realize there is a whole lot to do. It gets a little overwhelming at times just to think about all that needs to be done. I wish I could just pay someone to take care of it all. 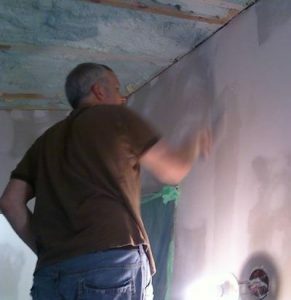 I wasn’t born to remodel homes… I’ve had to learn what to do. But I am good with my hands and have a forward-thinking mind with a very good sense of detail… sometimes too much detail. I sometimes wish I bought a home that is brand new… but then I don’t really like most of the styles of homes that are being built and they are built with cheap, contract-grade materials. My home is strong and tested. I have become impatient with the process and a little frustrated that there is still so much to do. I realize that there will always be something that I need to do. I really just want to come home and not feel the stress of everything. I started thinking about the house situation and I have found that I feel the same way about my life. I want to be there (look 20 yards in front of you) but I am here (look down at the floor). There are so many things that I want to change about myself. I am tired of my expectation that everyone puts 100% of their responsibilities in the church when the realities are that the church is not that important to most. It is a frustrating thing for me. I am tired of my old thug mentality that creeps up on me at the most trying situations. I am tired of the selfishness that I see in me when I do things… and there is so much more. I wish I could just snap my fingers and all of it will be removed… but instead… I wake up and it is there… I come home and it is there. I can’t seem to go anywhere without being reminded of how wretched of a person I am. I guess that is what happens when you get to see Jesus as He really is… so unlike myself. He is the Standard… and I long to have Him set me as He is… but I know that everything works in His time… not mine. I want it now, but He knows I am not ready for it. You see, it is a process… it never ends. Too many of us want things now and are too impatient to wait for it… so we move on to things that satisfies our needs. To some it is another boyfriend, girlfriend, spouse, etc… To others it is another church, another denomination, another idol, or another god. But when we trust in the Lord and recognize His sovereignty, we have to submit to His timing… His processing. And we have to trust that He is working on the right thing now. We want “this” to go away, but He wants “that” to go away first. God is a Remodeling God. He is always working on us…. Always perfecting us in His image. We must not get impatient with the process. He sees the entire picture while we are only able to see right in front of us. I have realized this before, but it has again hit home with me recently. My God is still working on me and there is still a whole lot to do. I have to learn to lean on Him more and realize that when I am impatient and frustrated with myself, His grace is sufficient for me.